What is an opportunity filter? Searching the marketplace, for new opportunities, every day is the best way to engage new opportunities before anyone else but this can become a tedious manual process. 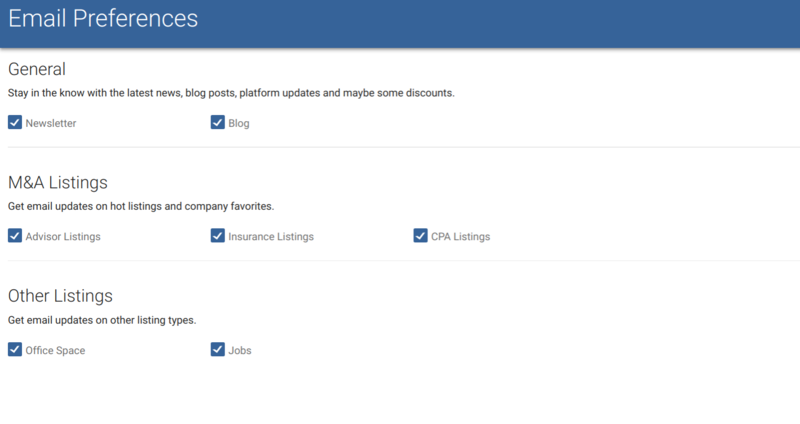 Opportunity filters search and alert you of listings that match your search criteria. You can configure the frequency of your opportunity email alerts daily, weekly, or never in the opportunity preferences section. Each membership level has access to create opportunities. Basic Member - You can create 1 opportunity filter. Lite Member - You can create 3 opportunity filter. Premier Member - You can create unlimited opportunity filter. When defining your opportunity filters to alert for sellers in a geographic area, check off only the box labeled Find Sellers. You will now receive email alerts when listings in the system match!